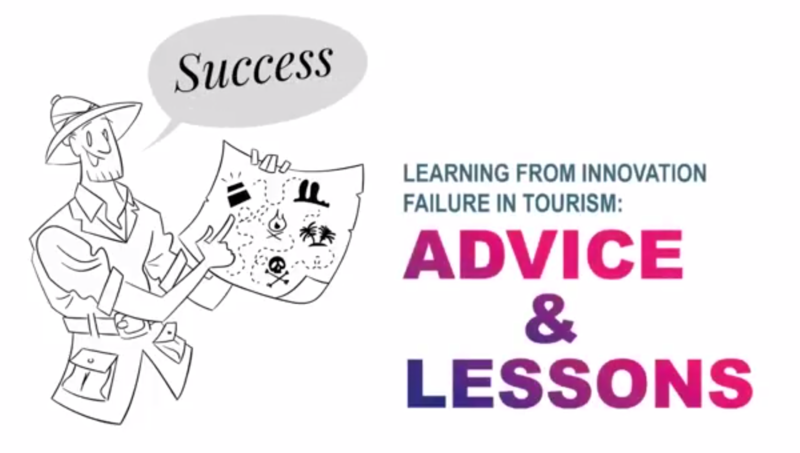 Failing to succeed with an innovative entrepreneurial venture is a painful but valuable learning opportunity, as shown in AIRTH encyclopedia chapter "Learning from innovation failure in tourism". The aim of yet another video of the INNOVATE EU research project is to review some of the key lessons reported by real-life entrepreneurs participating in the research who failed to succeed. Some might seem obvious but they are real-life examples which illustrate how easy it is to overlook them in practice. With the video, the researchers aim to translate the research findings into a language and format that can reach potential entrepreneurs to remind them about the importance of a proactive and active management of common potential risks. The video also brings teaching opportunities to academics lecturing entrepreneurship and innovation in tourism in order to attract their students’ interest and shape their future careers as potential entrepreneurs.